I realized then how forgiving we are of people who make us laugh – even at someone else’s expense. Humor is king in today’s society, and people can get away with voicing any remark as long as it’s funny. The standards for acceptable humor have fallen frightfully low, for we’re so eager to be entertained – to have a reprieve from our stressful, complicated lives – that we’ll elevate comediennes to a pedestal if their mean humor is witty. Ironically, it takes more talent and ingenuity to be clean funny than to be mean funny. People who do humor and sarcasm exceptionally well don’t go for the low-hanging fruit. They don’t take the lazy route or blurt out anything to get a laugh. Their humor doesn’t make people feel bad later. No one wakes up the next morning and regrets being part of the joke. I have a friend who owns a business that attracts many kids. All day long she listens to them talk, and the conversations have inspired her to tell her son and his friends, Mean is not funny. She harps on this point like a broken record, repeating it every time they laugh at a joke that’s funny at someone’s expense. Mean is not funny. Mean is not funny. It’s a catchy phrase that can help individuals decide what is appropriate humor and what is not. People often talk about how mean kids are today, and in many ways it’s true. I hear stories all the time about the biting remarks made at every age and kids having breakdowns at home after getting teased at school. 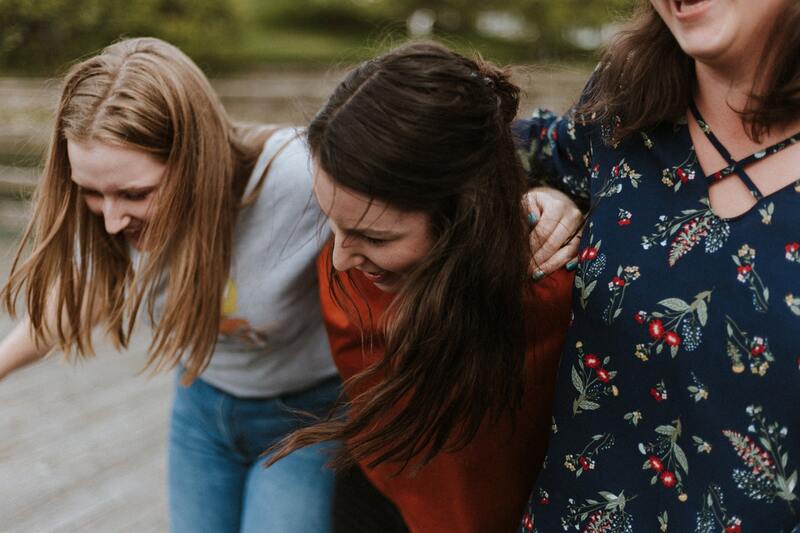 Moms of teenagers often express concern over the way that age group talks to each other – how even “friends” use sarcasm they think is funny but is actually hurtful. The truth about this culture shaping our kids, however, is that it reflects adult culture. We grown-ups set the bar, and quite frankly, we’ve failed them as role models. In a world where adults will say anything to get a laugh – in person or online – and hear praise if they’re funny, it logically follows that kids will do the same. To expect better from our kids, we must first expect better of ourselves – and consider the example we set in what we celebrate, laugh at, and consider good entertainment. Mean is not funny because it comes at someone’s expense. It points an unwanted spotlight as the jester holds court. Many hurtful remarks come from people trying to be funny. People who get sarcasm terribly wrong and hit someone below the belt. The Internet gives us new ways to be kind and new ways to be mean. We can laugh at insulting jokes and not feel guilty because we don’t know the victim or see their reaction. We can forget there’s a real human being with a target on their chest. Obviously, mean humor online hurts victims, but it can also hurt the jokesters. One offhanded joke made in poor taste is all it takes to wreck the jokester’s reputation and turn the Internet against them. In real life and online, hurting someone to get a laugh is wrong. It’s selfish and immature. We all love to laugh, and we all need people in our lives who make us laugh and help us lighten up. But as we decide what humor to embrace – or what kind of comedienne we aspire to be – let’s think about standards. Anyone can reach for low-hanging fruit, those jokes that garner quick laughs but later make people feel sick, yet it’s the high-hanging fruit that satisfies the soul. Humor done right is uplifting. It unites people, bringing everyone into the joke. The best comediennes realize this and aim high when crafting punchlines. For those of us listening or following along, it logically follows that we should aim high too – and think about the example we set for the next generation to follow. I’ve written two books for teen & tween girls designed to empower them through faith. Both Liked and the bestselling 10 Ultimate Truths Girls Should Know have used widely across the U.S. for small group studies. Also, I’ll be in Franklin, TN, for a mother/daughter event at Franklin First UMC on Thursday, Nov. 15 at 6 p.m. My topic is “Fearless: Living a Life of Purpose, Passion, and Action”, and you can register/purchase tickets here. Please join us and bring your daughter, friends, a small group, a youth group, or your favorite girl age 5th grade and up! Thanks for reading along, Julia! Well written and spot on Kari! As a middle school counselor, I appreciate your messages for girls to reflect on their part in mean situations and realize they have a choice.